This spectacular fairy-tale treehouse located in Hokuto, Japan is every kid’s dream…actually it’s every adult’s dream too. Surrounded by a bevy of beautiful purple and pink cherry blossom trees, it’s the perfect place to relax and enjoy a tea. 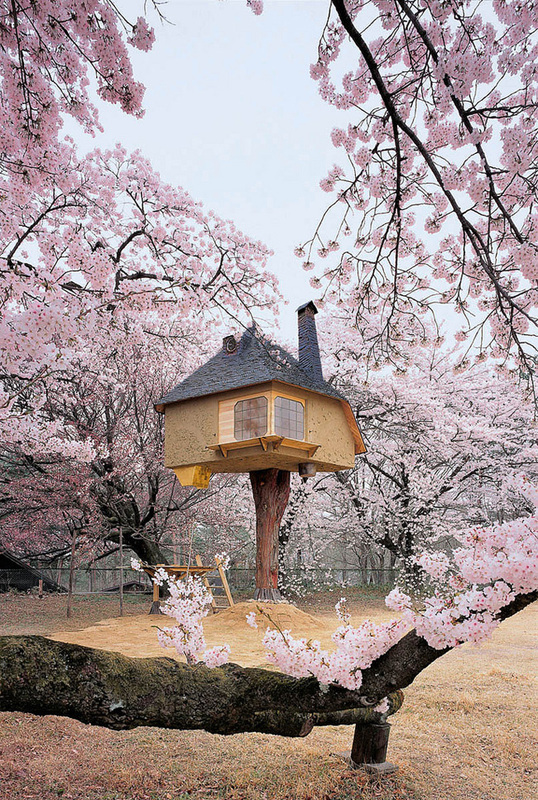 For the little treehouse serves as a teahouse, build specially to sit in and enjoy the cherry blossoms when they are in full bloom. 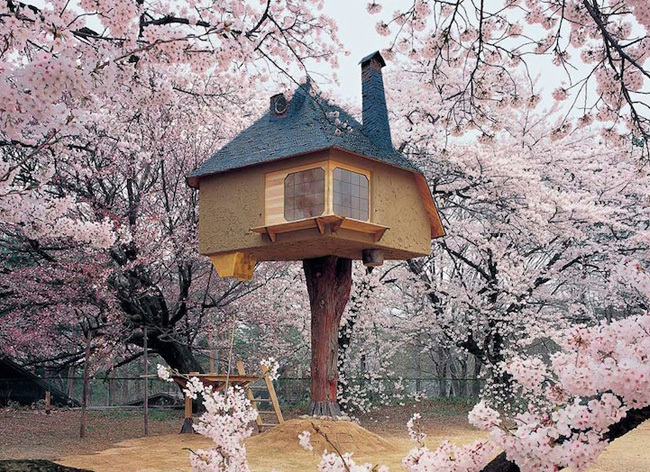 The treehouse looks like it was taken straight out of a fairy tale, especially being surrounded by those beautiful cherry blossom trees. 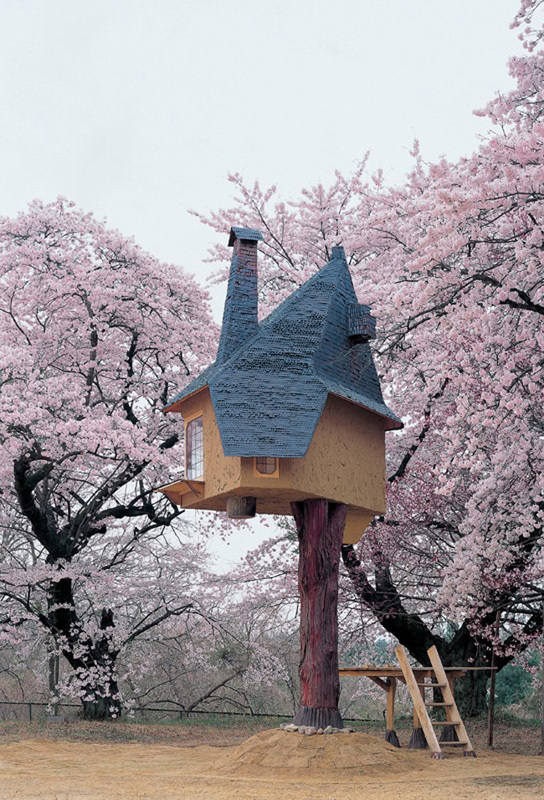 Built by architect Terunobu Fujimori for the Kiyoharu Shirakaba Museum, the charming treehouse is actually a Japanese teahouse that was built specifically for enjoying the cherry blossoms in full bloom. 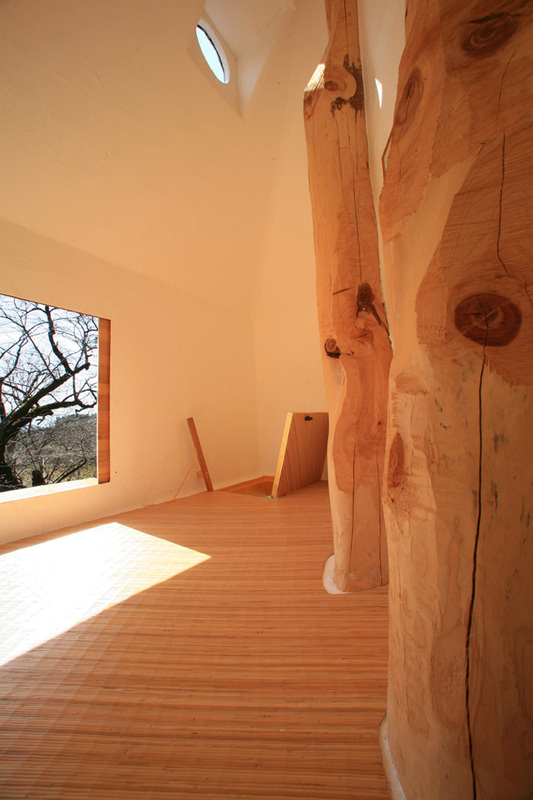 Fujimori designed the unique, one-legged structure to be sturdy enough to sway with the tree during stormy weather and through earthquakes. Though the outside of the teahouse is all fantasy, the inside is left both simple and modern. Source: My Modern Met Right, I’m adding that place to my bucket list. I’d love to enjoy a cup of tea there one day, seems like something everyone needs to experience once in their life. Share this fairy tale treehouse with your friends below, and while you’re at it start makeing plans to visit it one day with them.